"Thank you, Connie, for the gift of assisting me in re-connecting to many of the Guides and Masters that have been working with me on my Souls progression! Your gift of infinite love, clear vision, and beautiful soul communication is a sacred treasure. With the passing of time since our reading together, I have received many gifts of recognition and affirmation that held the seeds of sacred messages you shared. I celebrate your gift and soulful offering of yourself as a pure channel of the Divine! The transmissions of light and love that poured forth to assist me on my soul path have deeply touched my heart and my soul for all time! Blessings of Infinite Love … Infinite Gratitude.. Infinite Grace." "Connie made us feel very comfortable with the process and the channel was right on target. She helped my wife understand an incident that had bothered her for many years. She also helped us understand some things about our relationship that we had not realized before. We recommend her very highly and look forward to working with her again. Thank you, Connie!" "I have found my sessions with Connie to be very helpful, especially cutting ties with people from my past. She also told me details about people, living and dead, that she could not possibly have known. Besides, she is absolutely charming." "Connie’s love and warmth radiates everywhere. Accurate and professional, she hits the core and identifies where there may be imbalances and offers spiritual and pragmatic guidance. Connie's spiritual energy permeates everywhere and I feel blessed that she is in my life." "Connie’s readings lovingly and wisely reveal whatever would serve you to be aware of in your current life. She delivers in a safe, friendly and engaging manner that empowers you to move forward on your path." "I made an appointment with Connie for a specific purpose. Her incredible gift gave me a message on a totally different subject. Sharing that information has resulted in a family member finding the inner strength transform their life." "In one hour's time Connie was able to hone in on a need that I have danced around for years. Her approach was caring, nonjudgmental and sweet as pie. The time spent with her was like "SUPER" therapy and it has helped me greatly." 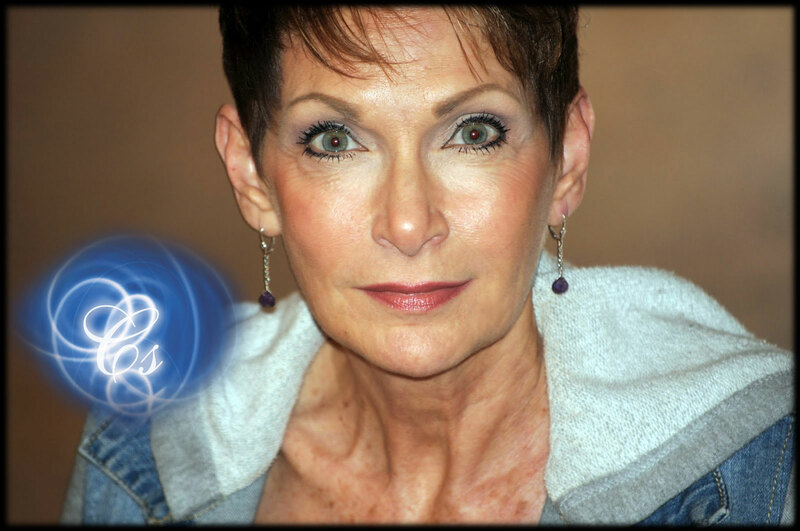 "A client gifted me with a reading with Connie. My client just raved about how wonderful Connie was and I just had to meet her. When I walked in I found her to be very pleasant and professional. She began by holding my hands and connecting with my energy. My concerns were basically about the success of my new Reiki business. Connie gave me great advice and insight. One piece of information that was quite amazing: Connie said that I was going to meet someone soon, someone unusual that I may not speak to on a normal day-to-day basis. This person would give me important information about my healing work, so I needed to trust and listen to this person. I couldn't imagine who this could be, but four months later a friend and I went to Sedona and came upon a Navajo Indian Medicine woman. She performed her healing entirely in Navajo but explained afterward in English giving me information about my own healing work. I realized as we drove back to Sedona that Mae was the person Connie had told me about in my reading. Wow! I wholeheartedly recommend a session with Connie! You will be amazed." Speaking to Antoine de Saint-Exupery "Connie Stewart was able to use her skills and expertise to access information about a famous French writer and aviator Antoine de Saint-Exupery. Antoine de Saint-Exupery was the author of the children’s book The Little Prince as well as many other titles. She was able to gain a direct link to Saint-Exupery in order to get his impressions of his plane being found through remote viewing: a trained method whereby trained perceivers are able to access information that is hidden from the usual senses. As anticipated, Saint-Exupery was delighted to have had remote viewers view his passing and the finding of the resting place of his plane. He likened remote viewing to being able to see very far whereas all he was able to do was to "look through a telescope." During Connie’s contact with Saint-Exupery, he seemed concerned about a treasure box and he did not want anybody finding it. When the life of Saint-Exupery was documented for a movie about his birth in Lyons, it was realized that the box he was talking about had been hidden in his childhood home. He grew up with rumors of this treasure box but it was never found. Saint- Exupery came through as a man of great character, with a great sense of humor, yet quite brusque and precise, just as he had been in real life. It is my opinion that Connie Stewart was able to contact Antoine de Saint-Exupery and that I was able to ask him questions and his opinion on many things. It was my impression, when I completed the remote viewing project on the finding of his plane that he would have been pleased that remote viewers had worked on this case. This was confirmed." "I have been to Connie three times, and she is OUTSTANDING. I felt a connection and a true sense that she is "the real thing". She has a connection to our souls and the souls of others, and handles her work in a very professional and wonderful way. I have walked with a spring in my step since my first visit with Connie, and no longer carry the weight of old baggage with me. For me, it has been a short cut through therapy, which dealt with my head but didn't heal my heart. Thank you Connie, for being brave enough and faithful to your true self to become such an amazing, artistic person of service." "I left your home feeling free and weightless. I cannot express how the reading helped me. I had an appointment with my therapist, and when I sat down to talk with her about my mother, I almost wanted to say, "I don't feel I have anything to say". She has been helping me for about 4 weeks. Since your reading, I really feel we did cut some cords. I want to thank you so much for helping me with this. I know I will contact you again soon; I would love to close other chapters in my lifel. I want to thank you very much for my reading." "I have had the privilege of attending one of Connie Stewart's group reading sessions. I found her manner to be professional, her client interests sincere and her readings effective. I would recommend her to those persons in need of alternative healings. " "I have gained a deeper understanding of my potential for myself and those around me. Connie is the light when things seem uncertain. Her style is living room casual. It's like visiting an old friend who guides you without preaching to you. After my readings, I feel focused, energized and ready to take on the next big challenge. I just love her."